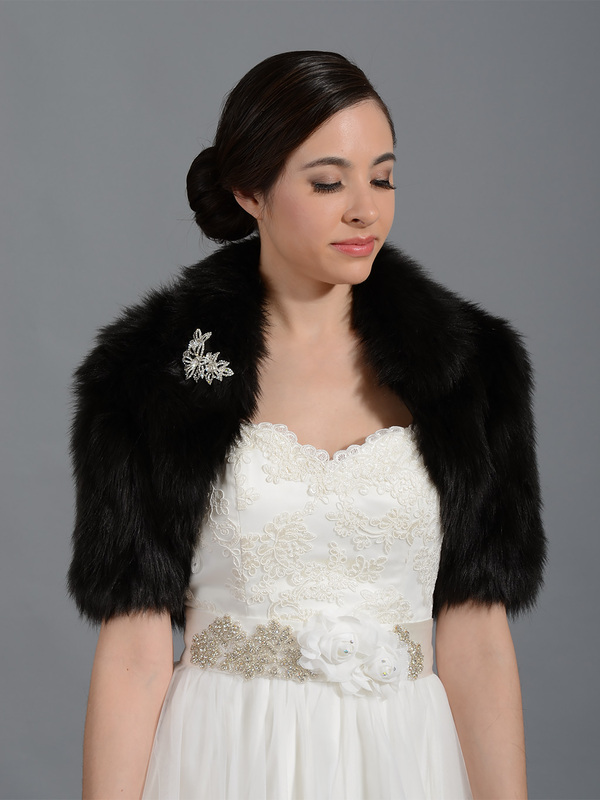 Beautiful black faux fur bolero in elbow sleeves. 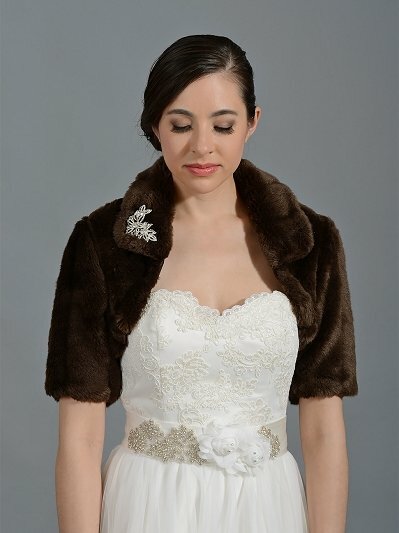 It is made of high quality faux fur fabric which is very soft and long. We have Small, Medium, Large and x-large size that you can choose from. It's nicely finished on both sides, with high quality satin lining. Please note the rhinestone brooch in the pictures is not included.